When runners practice yoga, especially at home, they often tend to practice the same yoga poses over and over. Runners love hip openers, so those are almost always in the mix. Add in a Downward Facing Dog to stretch out the calves and maybe a plank or two, and you can call it a day. But, there are hundreds of poses to practice, and several of them are amazing for runners, but runners often forget about them. Here’s my list of the top five yoga poses runners should be doing but probably aren’t. If you’re friends with other runners, you probably know at least one of them who has been diagnosed with plantar fasciitis. Maybe you’ve battled with it yourself. There are a few things that can cause plantar fasciitis, but one way to help reduce your risk of getting it is to keep the plantar fascia on the bottom of your feet loose and limber. That’s what toe squat helps you do. 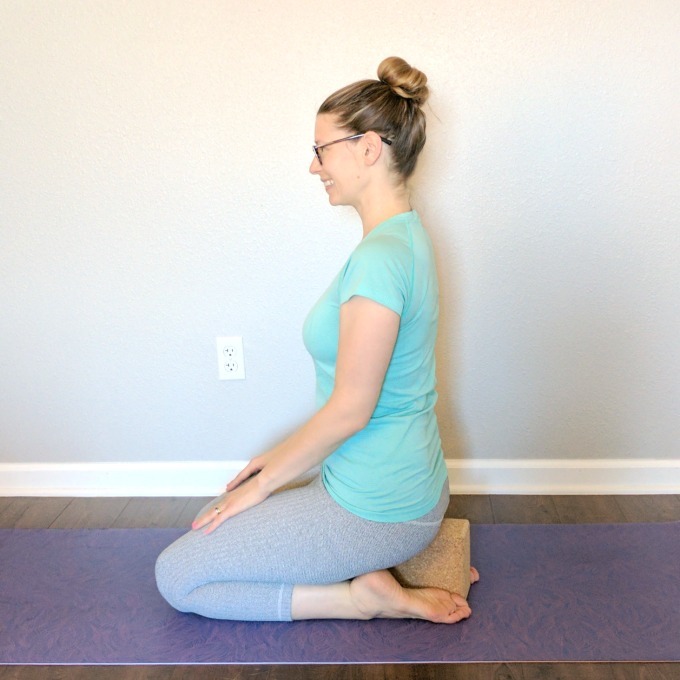 I recommend runners hold this pose for 5 to 7 breaths (if that’s comfortable), shift to Child’s Pose as a counter pose for a few breaths, and repeat about 2 or 3 times. Practicing Toe Squat on a regular basis is a great way to take care of your plantar fascia and your feet, too. Toe Squat helps you open up the bottom of your feet. But, runners shouldn’t neglect the tops of their feet, either. When you spend a lot of time with your foot flexed, like you do when you’re running, it can tighten up the tendons and ligaments on the front of your ankle, shin, and foot. Hero Pose helps you counteract that tightening. This is a very intense pose for most runners, so I recommend that you start by sitting on a yoga block or folded blanket(s). Over time, you’ll be able to bring your seat closer to the mat. But, definitely don’t rush the process. I am such a huge fan of Half Moon Pose for runners because it helps you strengthen the hip-stabilizing muscles in your glutes. When they’re weak, those stabilizers are responsible for all sorts of running injuries, including runner’s knee. Keep them strong and you’ll really reduce your chances of getting injured. Hold try to hold this pose for 5 to 7 breaths, then switch sides. Repeat several times to really work on building strength. Part of staying healthy and injury-free as a runner is making sure you have great running form. Unfortunately, some of us tend to hunch forward with our shoulders and upper body as we run, which can throw our bodies out of alignment as we run. That means we’re not only putting in more effort as we run because we’re not running in the most efficient way, but we’re more likely to get injured, too. Opening your shoulders and chest gently with a pose like Supported Corpse Pose will help you keep your upper body in the right position as you run. 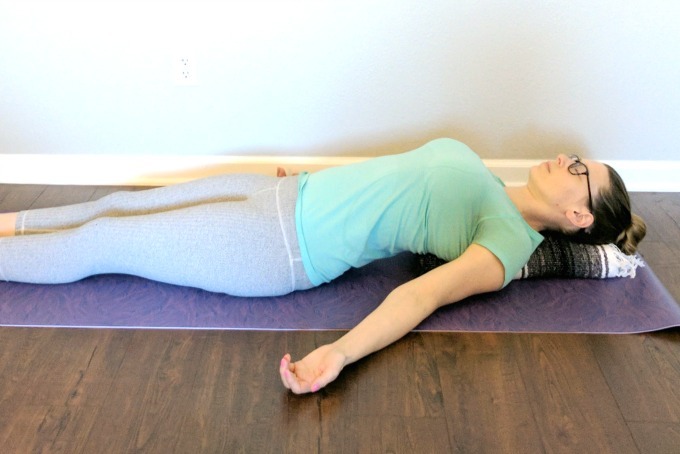 Simply place a folded blanket or yoga bolster between your shoulder blades as you practice Corpse Pose. Gravity will help pull your shoulders down, opening your chest. Hold this pose as long as it’s comfortable—a few minutes will help you feel like a new person! This pose is great for strengthening the ankles and the quads at the same time, as well as other parts of your body like your core. You should be adding balancing poses into your practice on a regular basis because they help you build stability in your ankles. This helps protect your ankles and feet if you take a misstep when you’re running. Balancing poses are also a great way to practice mental focus. I love One Legged Mountain Pose for runners because it not only has all of the benefits of a balancing pose, but it also helps strengthen the quads and the core, too. Be sure to hold this pose for an equal number of breaths on each side, usually at least 3 to 5, but holding it slightly longer can give you even greater benefits. « Can Yoga Help You Keep Running? The toe squat feels so good and I always forget about it. Finally got back to yoga yesterday and feel so much better. I have my stretch class do toe squats, though I have a hard time sitting upright because of my knees. Same with heros pose, but after attending a flexibility class at the convention that had us do a standing version of it so stretch the shins and front of the ankle, boy do I know I need it! These are great! Half moon remains so difficult for me. I recently went to a yoga foot clinic that was SO beneficial. The toe squat was featured there. Love it! I’m going to start using toe squat for plantar fasciitis relief. Thanks! I love this post Beth! Definitely need to incorporate more of these poses, especially the ones for feet and ankles. I’ve been having some issues there lately. Have you tried putting a blanket between your knees or under your seat? Sitting on a tall block could help, too. Those modifications should help with tight quads! 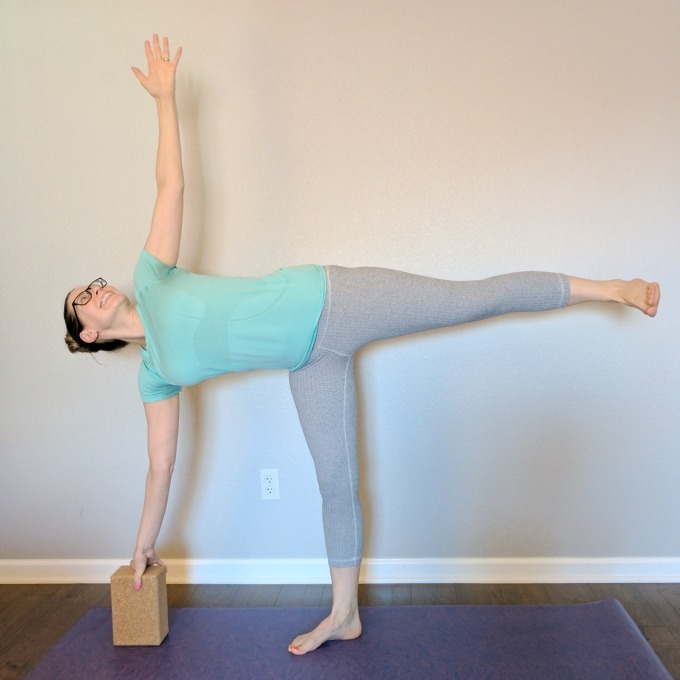 These are great to see…I currently can’t do much with my right knee (recovering from a crazy, unexpected staph infection surgery), but most of the “non-bent knee” poses look doable. Thanks! This is great, and I definitely need to incorporate these poses into my routine! The toe squat is SO hard for me but I’ve been trying to get better at it. This is a great list, Beth — I’m always so happy to find new posts from you in my inbox! Do you have a video that shows how to get into (and maybe more importantly, out of) half moon pose? I have such a hard time making my way down to the block without chickening out in fear of falling over :). Great to hear from you, Anne! 🙂 I don’t currently have a video of that, but I’ll make one and shoot you an email once it’s up. Hope you’re doing well! Toe squats are my FAVOURITE. So good! I love toe squat and you are right, I don’t do it often enough! I’ll have to work on adding a few of these others in as well.